Recently added titles to the museum. 11/28/18 - Mars Attacks Occupation, Mars Attacks The Revenge, Star Trek 1969. 6/28/18 - Shrimpenstein, and Monster Brawl, Dawn of the Dead. 7/30/16 - British Horror Collection (Unstoppable Cards). 11/22/15 - Monster Cartoon Blank Backs. (Unknown company and date-- any information is appreciated!) . 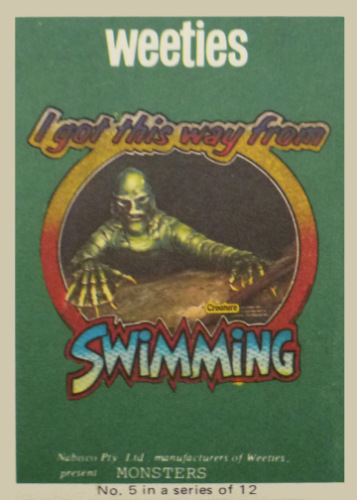 Also Monster Choke & Gag cards, Halloween Trick or Treat cards, and Gary Saves the Cementary cards. 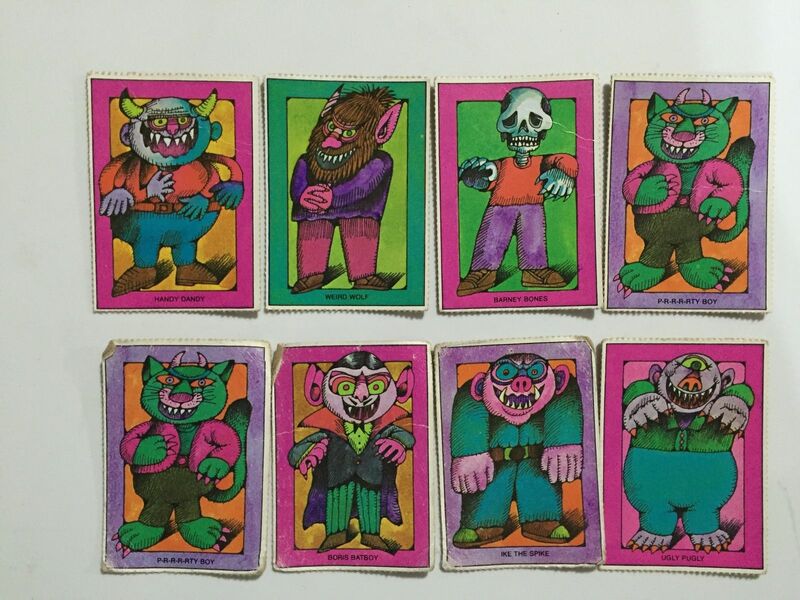 11/7/14 - Monster Doublies (Weetees, early 1980s, Australia cereal premium). 1/1/12 - Many too numererous to remember, but include Horror Hosts Collector cards and Wacky Halloween Postcards and Spook Show cards. 11/19/09 - UFO, Famous UFO Sightings, Monster University. 4/9/09: Amazing Stories, Plaid Stallions & a bunch of new image uploads.